December 2018: MUCHE has started advertising for a Professor of Health Economics, a joint position with the Department of Economics. December 2018: MUCHE has held a roundtable luncheon on the use of economic evaluation in decisions on pharmaceutical re-scheduling in collaboration with the Australian Self Medication Industry (ASMI) which was attended by 20 external guests consisting of representatives from Department of Health, pharmaceutical companies and consultancies. December 2018: MUCHE has hosted a one-day roundtable event with Research Australia on the integration of health economics into health and medical research opportunities. December 2018: MUCHE has been successful in securing a $240,000 grant from Ecstra Foundation to assess whether older Australians make optimal payment decisions when entering residential aged care. November 2018: Dr Henry Cutler has visited India as part of the Faculty of Business and Economics delegation to form health economics collaborations. November 2018: MUCHE has launched the Macquarie University / Australian Pharmaceutical Scholarship Endowment Program which was attended by The Hon John Alexander and MD’s and representatives of Pharma companies. November 2018: Dr Liz Schroeder has presented at the World Health Conference on Integrated Care and the International Foundation for Integrated Care in Sydney, Australia. 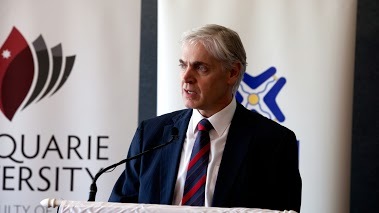 November 2018: MUCHE has held a roundtable luncheon on the relationship between mental health and the economy which was attended by 20 external guests consisting of the NSW Mental Health Commissioner and representatives from mental health agencies, federal and state government departments, and NGOs. November 2018: MUCHE’s SoundScouts project was highlighted in The Lighthouse magazine. October 2018: The NHMRC Centre for Excellence in Suicide Prevention has been announced, worth around $2.5 million. Dr Henry Cutler will be collaborating as an associate investigator. October 2018: MUCHE has co-hosted Prof Mike Shields from Monash University to present on ‘The causal effect of education on chronic health conditions’. October 2018: Dr Henry Cutler has presented at the pre-congress events of World Hospital Congress in Brisbane, Australia. September 2018: Dr Henry Cutler and Ms Mona Aghdaee has presented at the International Academy of Health Preference Research (IAHPR) Conference in Hobart, Australia. September 2018: Six staff members; Dr Henry Cutler, Dr Bonny Parkinson, Dr Liz Schroeder, Dr Joanne Epp, Mr Ross Bowman and Ms Mona Aghdaee has presented at the Australian Health Economic Society (AHES) Conference in Hobart, Australia. 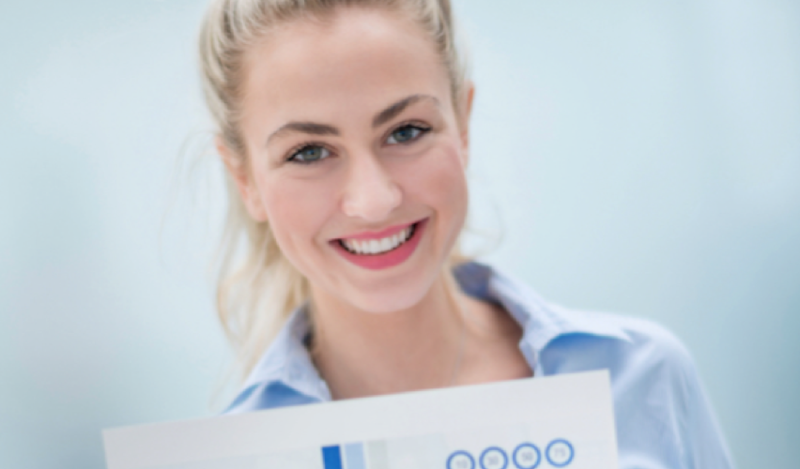 September 2018: Dr Bonny Parkinson has conducted the one day ‘Designing economic evaluations alongside clinical trials’ and the half day ‘Incorporating health economics into grant applications’ courses in collaboration with The University of Melbourne. September 2018: Dr Bonny Parkinson and Dr Lei Si has presented at the ISPOR Conference in Tokyo, Japan. September 2018: Dr Henry Cutler has presented at the Living to 100 Conference in Sydney, Australia. 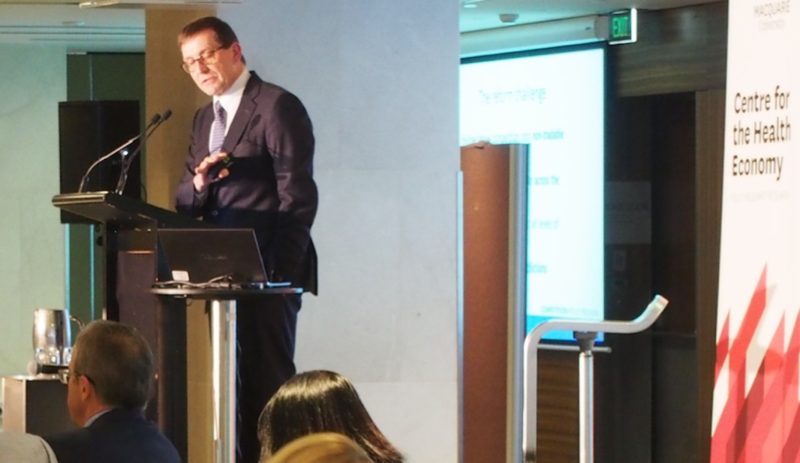 August 2018: Dr Henry Cutler has chaired the two-day Healthcare Leaders Forum held in Sydney. August 2018: MUCHE has co-hosted Prof Luke Connelly from University of Queensland to present on ‘Rain, rain go away: Weather and children’s time allocation’. August 2018: MUCHE conducted their Introduction to Health Economics Evaluation course which was another sold out event. July 2018: Two NHMRC project grant applications on assessing interventions for anxiety and depression in older Australians have been successful, with Dr Henry Cutler acting as CI on both. These research projects are worth $1.8 million in total. July 2018: Four staff members; Dr Henry Cutler, Dr Liz Schroeder, Dr Yuanyuan Gu and Ms Emma Olin presented at the European Health Economics Association Conference in Maastricht, The Netherlands. July 2018: Professor Martin Hoyle has joined MUCHE as a Professor of Health Innovation and Evaluation. June 2018: Dr Henry Cutler has attended the International Behavioral Insights Conference in Sydney, Australia. May 2018: Dr Bonny Parkinson presented at the National Medicines Symposium in Canberra, Australia. 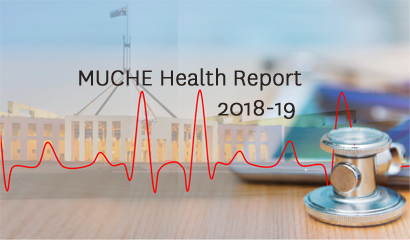 May 2018: MUCHE has prepared and released the 2018 Budget Summary, The MUCHE Health Report 2018. April 2018: Dr Henry Cutler has been interviewed by Radio National on the Federal Government’s $6 billion subsidy to the private health insurance industry. April 2018: Dr Lei Si has presented in the World Congress on Osteoporosis, Osteoarthritis and Muscoskeletal Diseases in Krakow, Poland. April 2018: Dr Bonny Parkinson has conducted the Introduction to Health Economics course Justice Health. March 2018: Dr Henry Cutler, Dr Liz Schroeder and Dr Joanne Epp has attended the 2 day International Healthcare Reform conference held in Sydney. March 2018: MUCHE has conducted their Introduction to Health Economics Evaluation course, which was another sold out event. March 2018: Dr Mutsa Gumbie attended the‘Understanding individual and household choices in Africa using longitudinal data’ workshop in Tanzania. March 2018: Dr Lei Si has joined MUCHE as a senior research fellow and recipient of an NHMRC Early Career Fellowship. January 2018: Ms Mona Aghdaee has joined MUCHE as a research fellow. January 2018: Mr Kyu-Hyung Park joined MUCHE as a Pharma HDR Scholarship recipient. November 2018: MUCHE hosted Dr Elisabeth Huynh from UTS to present on ICECAP-SCM’s in economic evaluations. November 2017: MUCHE staff members Dr Liz Schroeder and Dr Bonny Parkinson received the Student Led Award for Teaching and Learning (Masters of Public Health) and Excellence in Research Future Shaping research priorities (Healthy People) respectively. October 2017: MUCHE has conducted their Introduction to Health Economics Evaluation course which was another sold out event. 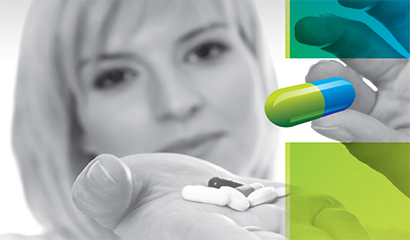 October 2017: Dr Bonny Parkinson has presented ‘An economic framework to inform the scheduling of medicines’ at World Self-Medication Industry conference. October 2017: MUCHE Director, Dr Henry Cutler, received the Deans Research Excellence (funding) Award. October 2017: MUCHE hosted Associate Professor Peter Sivey from RMIT to present on the supply response to hospital emergency. October 2017: MUCHE has secured funding from five pharmaceutical companies to establish a joint Higher Degree Research (HDR) Scholarship fund with Macquarie University worth $1.2 million. October 2017: MUCHE Director, Dr Henry Cutler, presented ‘Analysing data. Fast and slow’ at the ‘Revisiting Whitlam’s Vision for Health: Economists, Data and Efficiency’ one day workshop in Old Parliament House, Canberra. October 2017: MUCHE Director Dr Henry Cutler was quoted in the Australian Financial Review in reference to private health insurance reforms. September 2017: MUCHE, together with the Department of Economics hosted Associate Professor Peter Siminski from UTS to present on the intergenerational income transfers. September 2017: Five MUCHE staff members; Dr Henry Cutler, Dr Bonny Parkinson, Dr Mutsa Gumbie, Dr Yuanyuan Gu and Ms Emma Olin presented at the Australian Health Economics Society (AHES) conference. September 2017: MUCHE hosted the two day Australian Health Economics Society (AHES) conference at Darling Harbor, bringing together more than 150 academic health economists together to discuss health economic research. September 2017: MUCHE, together with AIHI, hosted Professor Meredith Rosenthal from Harvard University to present on value based pricing in health care. September 2017: Ms Rachel Song joined the MUCHE team as a Research Fellow. September 2017: MUCHE Director, Dr Henry was quoted in the HuffPost Australia as to the importance of testing for hearing loss in kids before starting school. MUCHE has been evaluating Sound Scouts to determine the lifetime benefits of screening upon entering schools. September 2017: MUCHE hosted Professor Julie Ratcliffe from the University of South Australia to present on measuring wellbeing in residential aged care. August 2017: MUCHE has co-hosted a half day roundtable workshop with Research Australia to discuss with 15 leading Australian academic health economists how to position the health economics community within health and medical research. August 2017: MUCHE, together with FBE, hosted Professor Anthony Scott from University of Melbourne to present on competition in primary care. 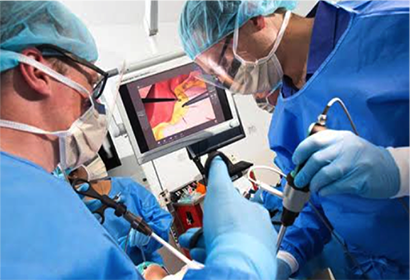 August 2017: MUCHE was awarded a new Cooperative Research Centres project to evaluate prostate cancer tests in partnership with Cyclotek, GE Healthcare Australia and MQ Faculty of Medicine and Health Sciences. August 2017: Dr Joanne Epp has joined MUCHE as a senior research fellow. July 2017: MUCHE, together with FBE, has hosted Professor Richard Freeman from Harvard University to present on the future impact of robotics on the labour market. July 2017: Three MUCHE staff members, Dr Henry Cutler, Dr Mutsa Gumbie and Dr Yuanyuan Gu presented at the International Health Economics Association (iHEA) Congress in Boston, USA. June 2017: MUCHE has conducted their Introduction to Health Economics Evaluation course which was another sold out event. June 2017: MUCHE, together with Department of Economics, hosted Dr Mengxi Zhang from UTS to present on survey mode effects on the validity of self-reported substance use data. May 2017: MUCHE has started a project with Cochlear on the cost effectiveness of cochlear implants for people aged 50 years and over. May 2017: Our PhD student, Anam Bilgrami, presented at the 8th Australasian Health Econometrics Workshop. May 2017: MUCHE has prepared and released the 2017 Budget Summary document to more than 1000 external contacts. April 2017: MUCHE Director, Dr Henry Cutler, presented at the Improving Patient Experience Conference in Melbourne. April 2017: MUCHE, together with Department of Economics started their external seminar series with the first guest being Professor Andrew Jones from University of York. April 2017: Mr Ross Bowman has started working at MUCHE as a Research Fellow. March 2017: MUCHE conducted the Introduction to Health Economics Evaluation course which was another sold out event. March 2017: The new MUCHE offices were officially launched by the Macquarie University Vice Chancellor Professor Bruce Dowton. February 2017: Dr Yuanyuan Gu has been awarded a Marie Sklodowska Curie Fellowship which will enable him to work on developing econometric models evaluating health data at the Department of Economics and Related Studies at the University of York. February 2017: MUCHE received funding from Central Coast Local Health District (CCLHD) to start an economic evaluation of their Integrated Care program which will take two years to complete. May 10, 2018: MUCHE has released its analysis of the 2018-19 Federal Budget, "The MUCHE Health Report 2018". The report has been referenced in media. 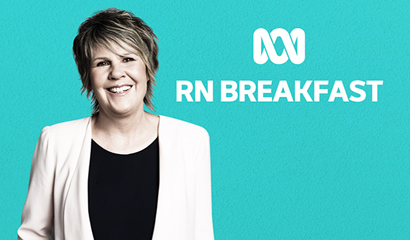 April 18, 2018: Centre Director, Dr Henry Cutler has been interviewed by Radio National's Fran Kelly on the Federal Government's $6 billion subsidy to the private health insurance industry. October 23, 2017: News article regarding a the launch of a new study presented at the World Self Medication Industry Conference, which refers to an Australian study conducted by MUCHE. 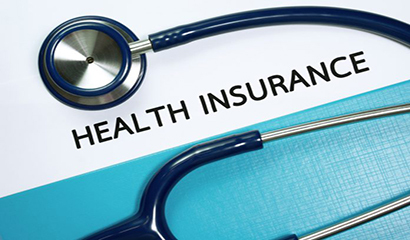 October 13, 2017: News article about the Federal Government's health insurance reforms titled, "Muted market response to private health insurance reforms" featuring comments from Dr Henry Cutler. 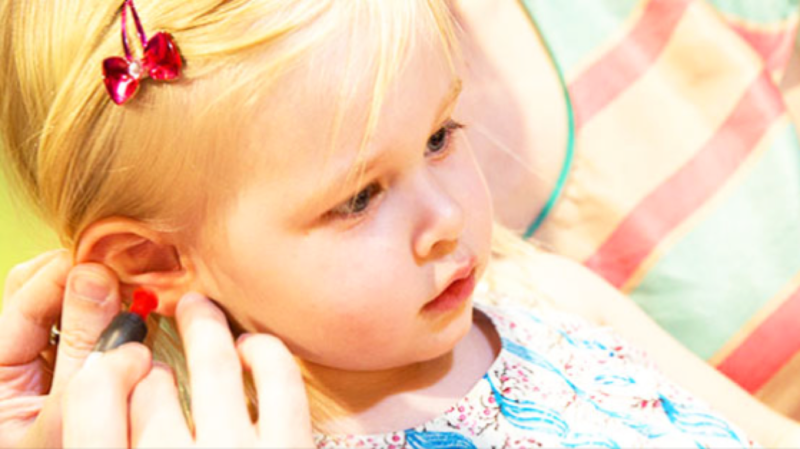 September 3, 2017: News article about a new hearing test titled, "The Aussie Technology Detecting Hearing Loss In Children", which MUCHE is currently evaluating. May 23, 2017: MUCHE featured in article "Health kick from an ageing China" The ageing of China's rapidly growing middle class is throwing up a deep and lucrative range of opportunities. 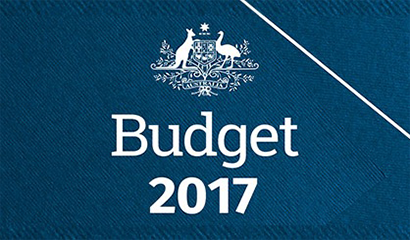 May 11, 2017: 2017 Analysis of the Federal health budget. MUCHE's analysis of this year's Federal Health Budget. Dr Henry Cutler, Director for the Macquaire University Centre for the Health Economy, provides an overview of the 2017-18 federal health budget. March 31, 2017: MUCHE moves in. 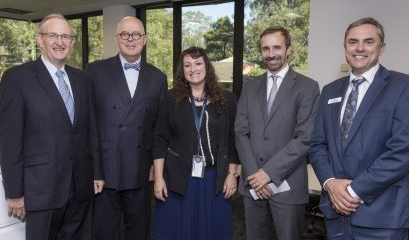 The Vice-Chancellor, Professor S Bruce Dowton, joined The Centre for the Health Economy (MUCHE) to celebrate their new offices and research projects last week. The event was an opportunity for Professor Dowton to learn about the research work that the Centre is undertaking and to welcome new members of the team. June 3, 2016: The value of health information. A paper released today by Dr Henry Cutler, Director of Macquarie University Centre for the Health Economy (MUCHE), analyses the value of current treatment and funding decision models. Given patients, clinicians, providers and government find it difficult to process large volumes of complex information the paper raises an important question - is more information valuable, or will value be lost in the sea of complexity that already characterises our health system? 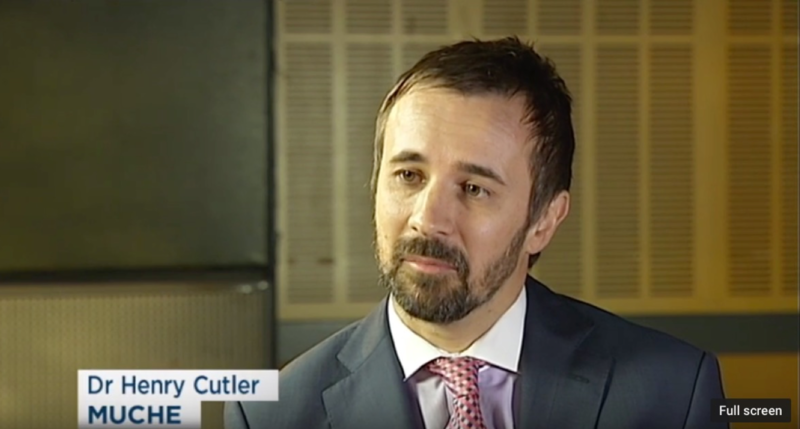 May 6, 2015: Dr Henry Cutler interview with Ticky Fullerton on ABC's Lateline regarding the Federal Government's Competition Policy in health. May 5, 2015: The Federal Government the biggest winner. 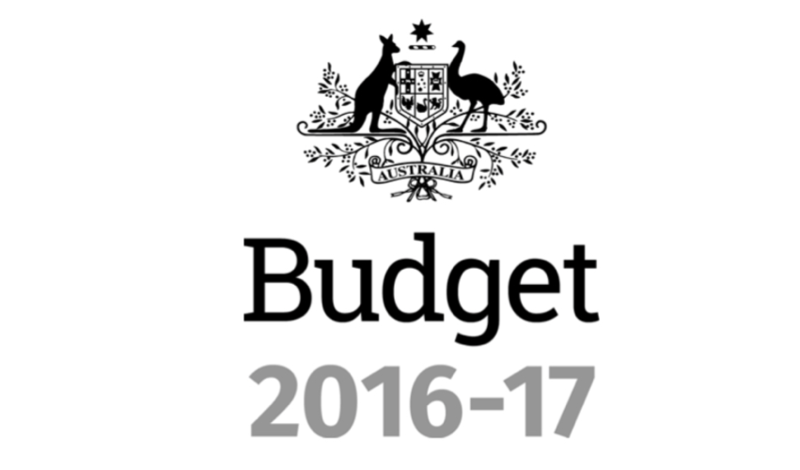 A review of the Federal Health Budget for 2016 - 2017 by Macquarie University Centre for the Health Economy (MUCHE) indicates that the biggest winner is the Federal Government. 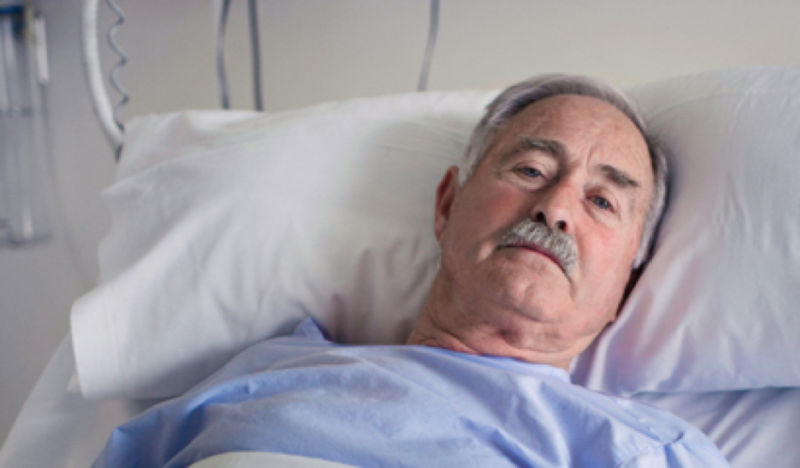 Dr Henry Cutler, Centre Director , said "The biggest winner from the federal health budget is the government, while the biggest losers are private providers reliant on the MBS, and aged care providers reliant on ACFI funding. April 25, 2015: The case for competition in Australian health. 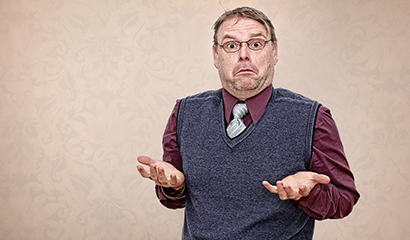 Tax reform is the talk of the town, but when it comes to funding our healthcare system, Health Minister Sussan Ley assures us there will be no additional taxes. Ley says it is a matter of spending our healthcare dollars more efficiently. And no wonder. Expenditure on health care continues to grow and will be over $150 billion this year. Governments will provide around $100bn. Jan 12, 2015: Inaugural Centre Director appointed. 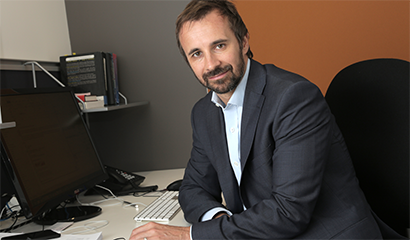 Professor Mark Gabbott, Executive Dean of the Faculty of Business and Economics (FBE), has announced the appointment of Dr Henry Cutler as Director of the Macquarie University Centre for the Health Economy (MUCHE). "I'm delighted to welcome Dr Cutler to the campus. Since establishing the Centre last year, we have worked with academics across the Campus to develop and refine its key focus areas and to maximise the opportunity both internally and externally. Dec 5, 2013: New research centre for the health economy. Macquarie University launches new Centre for the Health Economy to provide whole of sector focus. In response to the increasing difficulty for health-related industries to access data across the whole health sector, Macquarie University has launched a new research, advocacy and educational body, the Centre for the Health Economy. Nov 1, 2013: Uncovering the positive impact of care. 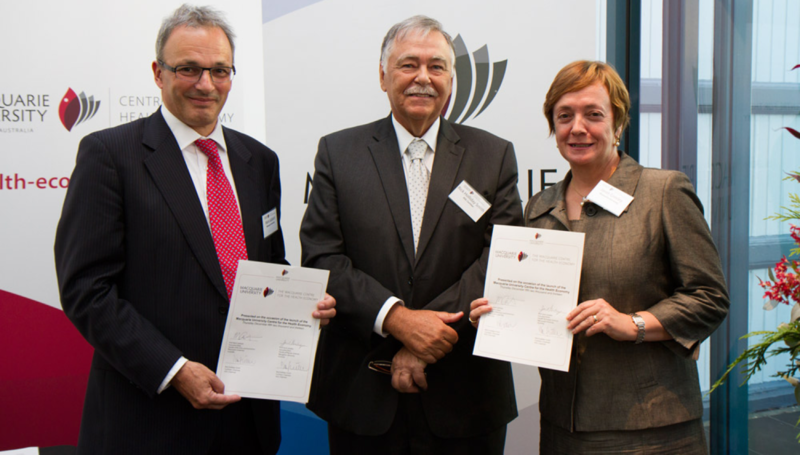 Australian Self-Medication Industry & Macquarie University Partnership. The Australian Self Medication Industry (ASMI) and Macquarie University have announced a joint research partnership that will produce for the first time independent evidence-based research into the current and future impact of self care and self medication on public health in Australia.